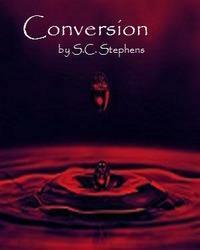 Today I am welcoming author S.C. Stephens to The Cover Contessa! And do you know her books? So, let's hear what S.C. has to say! 1. When did you first realize you wanted to be a writer? I can remember always having the desire to write a story, but no real story to tell. I dabbled with scenes here and there, but it wasn’t until Thoughtless that I had enough scenes to create a full story out of it. There was something about Thoughtless that drove me to finish it. 2. How long does it take you to write a book? When I first started, it took me between 3-6 months, depending on the story. I seem to be a lot busier now, so it takes me a bit longer. Maybe 9 months. 3. What do you think makes a great story? For me it’s all about the characters. I have to fall for them. I have to root for them. I have to ache with them, love with them, long with them. I have to care. 4. What is your work schedule like when you're writing? Up until a few months ago, I worked fulltime so I wrote very early in the morning. Now, I’m just writing, so I get up at a more reasonable hour. 5. How do you balance family and writing? During the week, I write while my children are at school and try to be done for the day before they come home. It can be a bit frustrating at times, especially if I’m in the middle of a scene and I don’t want to stop but I have to. That happens a lot. It’s the price that comes with working from home. But the pluses far outweigh the minuses! 6. Where do you get your information or ideas for your books? The ideas usually come from random places—I was driving home through a rainstorm when I thought of Collision Course. I “saw” Kellan while listening to music. I heard a conversation between a vampire and a regular girl while watching a movie that had nothing to do with vampires. There’s no rhyme or reason to it. 7. What was one of the most surprising things you learned in creating your books? The most surprising thing about it is watching it unfold. Sometimes characters will do or say things that even I don’t know they’re going to do until they do it. Like watching a movie in my head, sometimes it’s unpredictable. 8. How many books have you written? Which is your favourite? I have ten books that have either been published or I’m working on getting them published. I don’t know if I have a “favorite”, since I love them all in different ways, but Collision Course holds a special place in my heart. It’s probably the deepest story I’ve ever written. 9. Are your characters based on anyone you know? No. Not intentionally anyway! Most of my characters just spring to life on their own. I suppose I am drawing certain aspects from people I know, or people I’ve met, but I’m not creating characters that are directly based on anyone in real life. 10. Do you have a favourite place you love to write? Wherever my computer is. Over the years it has shifted from room to room to room. I have an actual office now though, so I think it will be staying put for a while. 11. How hard is is to get published? My publishing story is a little different than most, so I’m not sure I can answer that. I started out by putting my stories online at FictionPress.com. From there, I turned all of my books into free ebooks at Feedbooks.com. Once the free copies spread like crazy, and I started developing a fan base, I self-published in ebook and paperback. When the books started doing well, I was able to get an agent and she was able to get me a book deal. 12. What do your family and friends think about your books? Most of them didn’t even know I had written a book until recently. They’ve all been very supportive, and they’re all very proud of me. My friends are just now starting to read Thoughtless, and they’re really enjoying it! It’s fun to hear their thoughts on the characters. 13. What do you like to do when you are not writing? I love listening to music while going on long walks. I think of so many great plotlines and conversations that way. It opens up my mind. If I’m trying to get away from stories in my head, I play with my kids, take a class at the gym, or hang out with my friends. 14. Do you have any suggestions to help aspiring writers better themselves and their craft? If so, what are they? I’m still learning, so I probably shouldn’t be teaching! There are really great writer’s groups out there that are helpful. You just have to be careful about editing a story to death. If you tinker with something too much, you take the flavor out of it. 15. As a child, what did you want to do when you grew up? I never had a certain “thing” that I wanted to be when I was a child, but I remember pretending to be on the phone a lot in make-believe offices. I eventually did work in an office, so I guess I lived out my dream! 16. What are your favourite books and which authors inspire you? I’m a fan of several authors—Richelle Mead, Stephenie Meyer, Terry Goodkind, Colleen Hoover. Twilight is probably my favorite book. There’s just something about it. I could read it over and over. 17. For an aspiring writer what do you feel are certain do's and don’ts for getting their material published? Ah, again, I really don’t know. I didn’t go the traditional route when it came to publishing. I chose to publish mine because so many people asked for them. I suppose the most important thing is to write a compelling story that people will connect with and remember. 18. What are you working on now? I just finished the third book in the Thoughtless series, and I’m now writing the second book in the Conversion: The Next Generation series. THANKYOU :) Thank you for having me! Thanks so much for stopping by today! It was great having you here! Thanks for the interview. Your road to publication is interesting. How cool that your fans are so loyal and supportive. Must feel great :) best wishes for continued success!